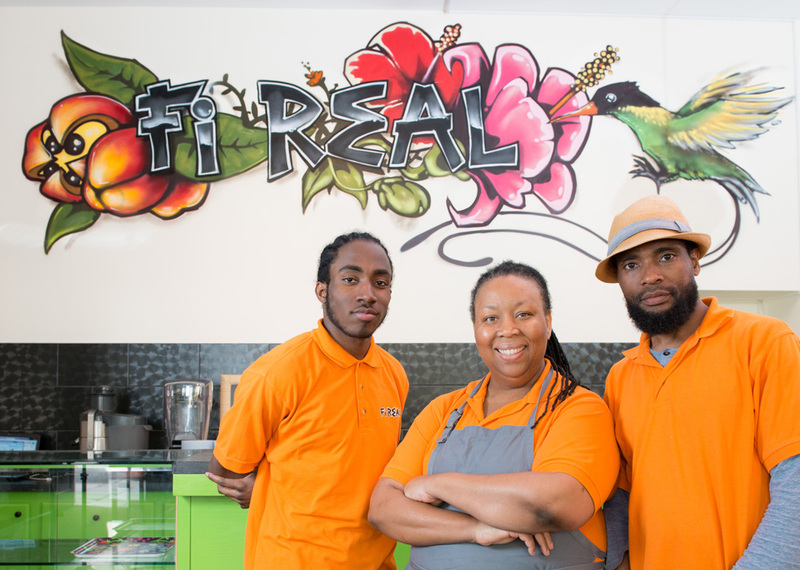 Fi Real brings you Vegan foods with an authentic Caribbean flavour. Fi Real has a friendly, welcoming and colourful ambience which ties in with our food. We opened in May 2014 after a life-long dream of sharing healthy food with people, one of our ethos is that being Vegetarian or Vegan doesn’t mean you have to sacrifice taste or variety. We have a range of fresh home-made juices and drinks which are all natural without any preservatives or colouring. We also make a variety of Vegan Cakes which have proved very popular.We are a family-run business who pride our selves on quality taste and making visitors feel welcome.